Lori Raschilla has lived in the Minden, Gardnerville and Carson Valley area since 1981. You could say that the two grew up together. Lori's knowledge of the area and what it has to offer is based on experience and history. After high school, Lori attended UNR on a full softball scholarship while earning a 4-year degree in Psychology. Lori knows what it takes to work hard and achieve goals. 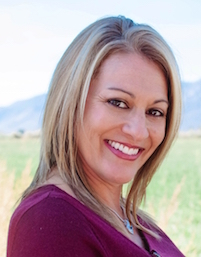 Lori joined forces with another Gardnerville agency in May 2004. By the following year she became a co-owner. In 2014 she sold her interest in the company in order to focus solely on buyers and seller with their real estate transactions. In May of 2016, when her former company was purchased, Lori took the next step in her real estate career and joined RE/MAX Realty Affiliates, where she is currently working full time as a top-producing agent. If you�re considering buying or selling a home or would just like to have additional information about real estate in the northern Nevada area, please don't hesitate to call or e-mail Lori. Put her 24, years of real estate experience to work for you. Sound advice and guidance will make all the difference in your next transaction.